IPA is king. Has been for a long time. Will be for a long time to come. It also helps that it now comes in many different variations from malt heavy to palate wrecking bitter, crystal clear to thick and murky, and fruit forward to “what’s a fruit”. There seems to be enough variation that you could drink IPA after IPA after IPA without much fatigue. Here in Minnesota, good IPAs are easy to come by, but so are not-so-good IPAs. Every brewery seems to have at least one (usually several) IPA always on tap. This week, I wanted to show you a bit of that diversity in the IPA world. Let’s start this out with one of the latest innovations in the IPA world. Introduced by the Swedish brewery Omnipollo, with their “Smoothie” IPA in 2014, which was then brought to America with their collaboration with Tired Hands Brewing from Pennsylvania in March of 2015, Milkshake IPAs have begun to sweep the nation. The term “Milkshake” refers to the thick mouthfeel of the beer which is attributed to the use of Pectin, lactose sugars, and rich fruits. These fruits, combined with tropical hops make for a sweet, yet slightly bitter beer that almost any IPA denier will be able to drink. 12welve Eyes has been creating Milkshake IPAs since around the time they opened the doors of their Lowertown brewery in July of 2017. Mango has a tropical nose of mango, lemon zest, orange, and a slight hint of pineapple and a minor herbal touch. A huge amount of Mango coupled with a thick mouthfeel compliment the hop resin, orange, and tropical flavors extremely well. With a crisp finish, you’ll need another crowler of this to make sure it’s as good as your taste buds are telling you. So, hops are super interesting… Much more interesting than those dumb wine grapes. Despite having a strange name, Able‘s The Last Word is Seagulls (Seagulls) is what many refer to as a SMaSH (Signal Malt and Single Hop) IPA. SMaSH ales are the perfect way to showcase the true essence of whichever hop is used. Seagulls is “A love letter to Jarrylo hops”. Jarrylo (pronounced Yar-i-low, with the emphasis on the i) is that “super interesting” hop I was referring to earlier. Developed by the Association for the Development of Hop Agronomy (ADHA) and named after the Slavic god of fertility, Jarrylo was designed to have aromas of orange, pear, grass, banana, and spice. What makes this particular hop even more interesting is its parentage. 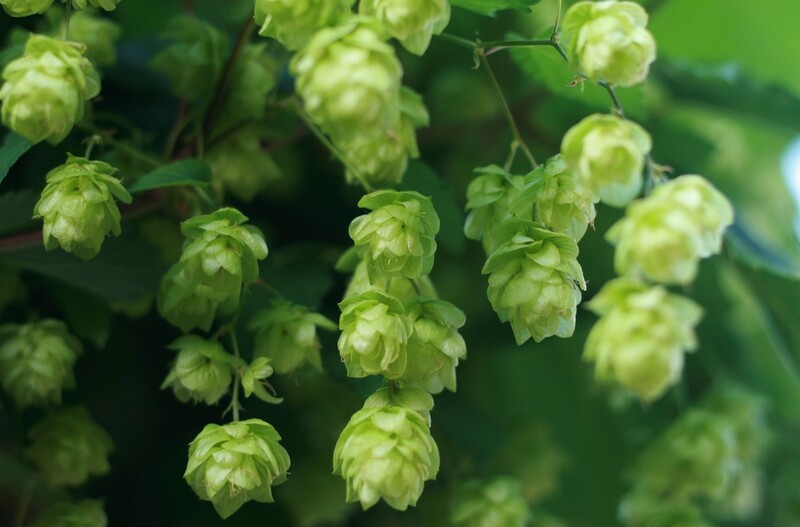 Its mother is the Summit hop (no relation to that Summit), its father is ADHA 75-2 strain of hop, the father’s parentage is both Summit (mother) and G-7 (father). Summit is both the mother and grandmother of Jarrylo… Sorry. I let my inner nerd get in the way… Back on track. With roughly three pounds of Jarrylo per barrel, the fragrance from Seagulls is heavy with pear, peach, grass, and a bit of malt. The palate follows close with pear and peach with some added bitterness and a dry finish. Different from many IPAs, refreshingly different. So, it’s been a while since I’ve had any beer from Mankato, and, if I’m being honest, I wasn’t the biggest fan of Mad Butcher. Since it’s been awhile, I wanted to revisit and see if and how much it may have changed over the years. I’m glad I took another look, to say the least. The Citra and Mosaic hops are rampant throughout every aspect of this beer. An alluring aroma of tropical fruits, orange citrus, grapefruit, malty caramel, and pine needles. The grapefruit, tropical fruits, and malt come back with a vengeance on the tongue combined with sweet tangerine, honey, and medium dry with a lingering bitterness on the finish. If it’s been a minute since you tried Mankato, I suggest you give ’em another go. If you’re like me, you’ll be pleasantly surprised!